Living in areas with high levels of air pollution could be linked to an increased risk of dementia, new research suggests. In a study published in the journal BMJ Open, researchers focusing on London found an association between the neurodegenerative condition and exposure to nitrogen dioxide and microscopic particles known as PM2.5. In response to the study, Alzheimer's Research UK described the findings as a "growing area of research" but said results should be treated with caution. Researchers from the University of London, Imperial College and King's College London used anonymous patient health records from the Clinical Practice Research Datalink, which collects data from GP practices. Between 2005 and 2013, a total of 2181 patients (1.7%) were diagnosed with dementia, 39% of whom had Alzheimer's disease and 29% of whom had vascular dementia. Dr David Reynolds, chief scientific officer at Alzheimer's Research UK, warned the latest study does not show cause and effect. "We don't know where people in this study lived in the two decades before their dementia diagnosis, so we have to be cautious about how we interpret these results. "The link between air pollution and dementia risk is a growing area of research. 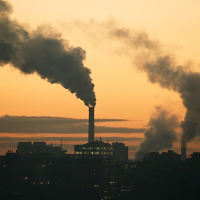 This study highlights the importance of further studies that look into exposure to pollution over a longer period of time, and investigate the possible biological mechanisms underlying this link." Last year, a study published in The Lancet medical journal suggested living close to a busy road increases the risk of Alzheimer's and other forms of dementia. If you're living with dementia and are looking for comprehensive travel insurance that meets your needs, take a look at our dedicated Alzheimer's travel insurance.